Recognized as the Ambassador Apostle to Ethiopia and Zimbabwe by International Coalition of Apostolic Leaders, Dr. Nordin continues to travel to the nations of Ethiopia and Zimbabwe where he speaks at conferences and churches, also providing financial assistance to some of the world’s most destitute people. In the office of Ambassador Apostle, Dr. Nordin has been gifted to discern the Apostolic mantle, commending many ministers into the ministry of the Apostleworldwide: Argentina, Mexico, Ethiopia, Zimbabwe, and the USA. 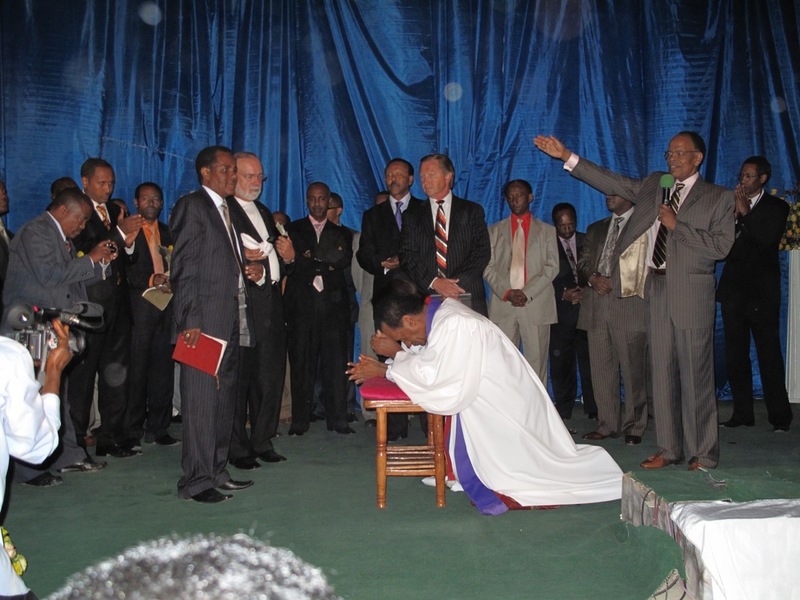 In 2009, Daniel Makonen was commissioned as an apostle at an elaborate celebration in the convention centre in Addis Ababa by Dr. Tolesa, Dr. Nordin (together with other guest ministers). The service was attended by dignitaries and ministers from many nations who confirmed the respect and honor that ministers feel toward Apostle Daniel Makonen. Apostle Makonen has established over 135 churches in the nation of Ethiopia and overseas the great “Gospel Light Church” in Addis Ababa. He was instrumental in a powerful healing revival that blessed the nation during the 1980’s and beyond.